Las Vegas may be best known for ways to separate you from your money. With so many activities vying for your hard earned cash, it might be difficult to believe, but Las Vegas also boasts a wealth of Free Things To Do. And many of these Free Things To Do in Las Vegas are family friendly! 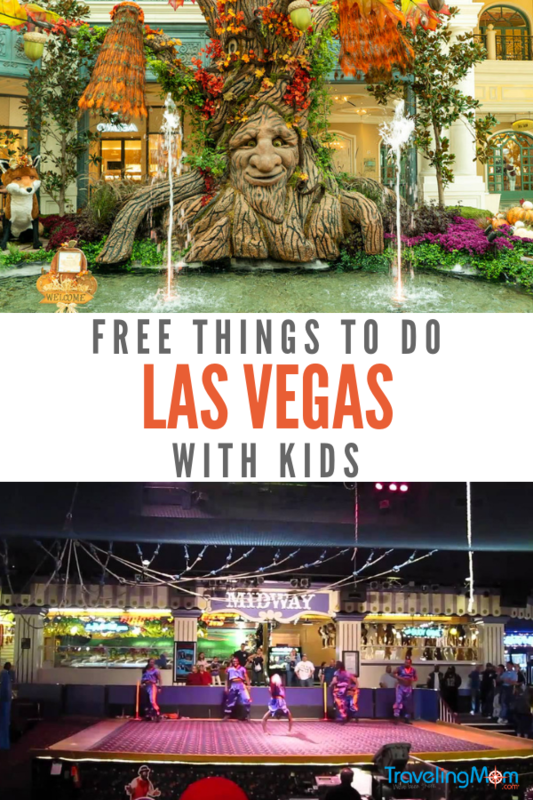 So, if you start out the vacation low on funds, or even if you blow your budget at any of the casinos, you can still hit the jackpot with these Free Things Do do in Las Vegas with Kids. Read More: Romantic Things To Do In Las Vegas, you know for when your kiddos go to bed. 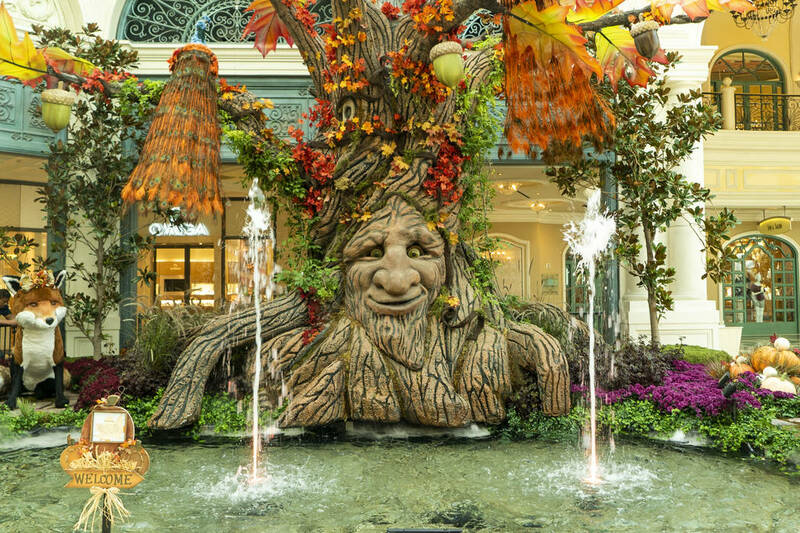 The Bellagio Hotel and Casino’s Conservatory is constantly changing along with the seasons. It even has a special presentation for the Chinese New Year. It is one of our top picks of Free Things To Do In Las Vegas with kids because it is fun and educational. 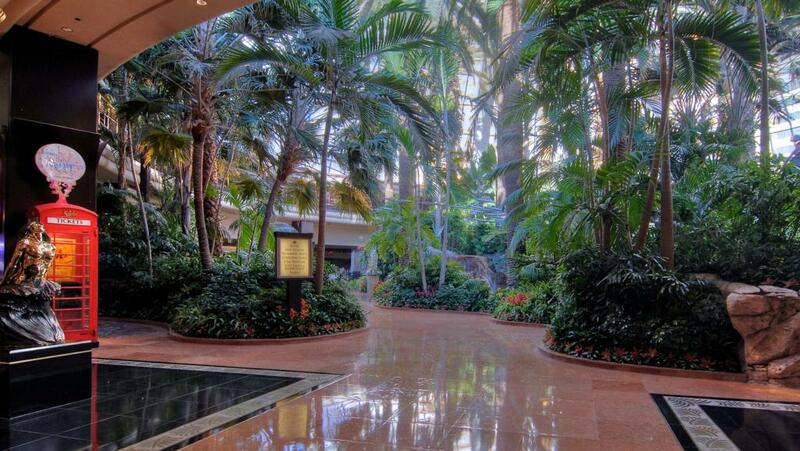 The Gardens are located across the lobby from the front desk at the Bellagio Hotel. Here, you will see a magnificent glass ceiling that rises 50 feet high. This gives an incomparable visual of what is to come…an absolutely breathtakingly beautiful Conservatory. The Bellagio Hotel and Casino’s Conservatory season starts off with the Chinese New Year. In the Spring you will be treated to Cherry Blossoms and a whole host of other Spring blooms. Summer offers equally delightful fragrances and beauty. In the fall, the conservatory turns a vibrant red, orange, yellow, gold and brown. After Thanksgiving, the talented horticulturists transform the Conservatory for the Christmas season. This ever-changing display is not to be missed by visitors of Las Vegas! 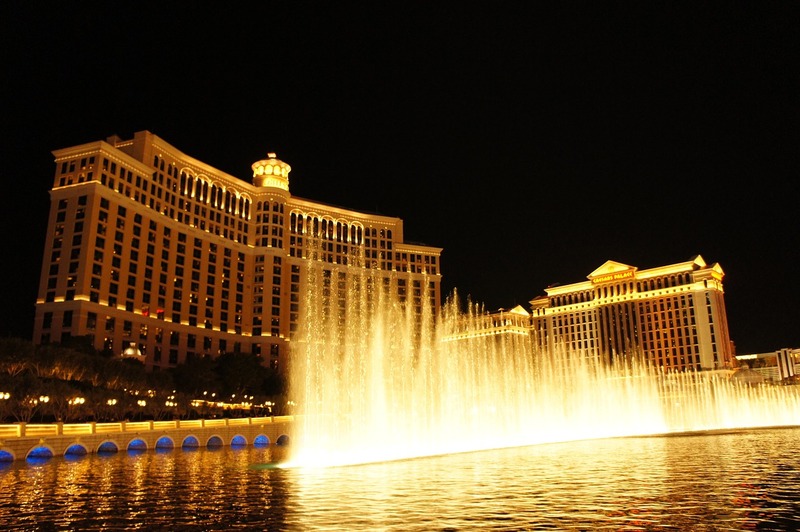 Just outside the Bellagio Hotel, you will find these magnificent fountains. I can attest to the fact that there is nothing like seeing them in person and they are totally Free! Here, Water, Music, and Light combine to tantalize viewers. As you approach, find a place to sit or stand to watch the dynamic display that is sure to entertain both kids and adults alike. To take advantage of this top pick of Free Things To Do in Las Vegas with Kids, be sure to time your arrival appropriately. Luckily, it’s hard to miss this daily show in Las Vegas. The show is every 30 minutes from 3 pm to 8 pm Monday through Friday and every 15 minutes from 8pm to midnight. On Sundays, the show starts at 11 am every 30 minutes until 7 pm when the show goes on every 15 minutes until midnight. On Saturdays and Holidays, the shows start at noon every 30 minutes and changes to every 15 minutes at from 8pm to midnight. Of course, times may vary, so check verify online or with the hotel itself. Just behind the front desk of the Mirage Hotel is a giant 20,000-gallon saltwater aquarium that you and your kids will absolutely marvel at. But, walk just beyond to see a 100-foot dome under which is housed a 60′ waterfall, peaceful lagoons, and an enormous variety of plants. In addition, discover uber tall palm trees, Bird of Paradise Trees, over 300 Orchids and 1,000 bromeliads, along with other colorful flora and fauna. All that you and your family can explore and learn. As you find yourself heading back outside, be sure to check out the volcano in front of the Mirage, rounding out the tropical theme of this hotel and yet another addition to the free things to do in Las Vegas. 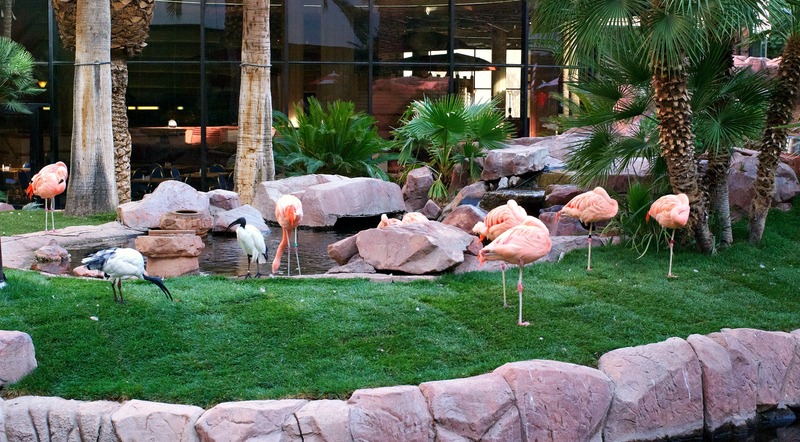 The Flamingo Hotel’s Wildlife habitat is easily one of the best Free Things To Do in Las Vegas with Kids. It is touted as one of the most unique and family friendly attractions in Las Vegas. Open to the public daily, this 15 acre wild habitat is full of lush foliage, flamingos (the coolest part), penguins, cranes, turtles, fish and lots of other birds. Open 8 am – 8 pm every day of the week Be sure to try to schedule your visit during feeding time … 8:25 am and 2:55 pm. You can also take your picture with the parrots, or use the excellent backdrop for exotic family photos. This is one of the sweetest Free Things To Do in Las Vegas with Kids and without kids! 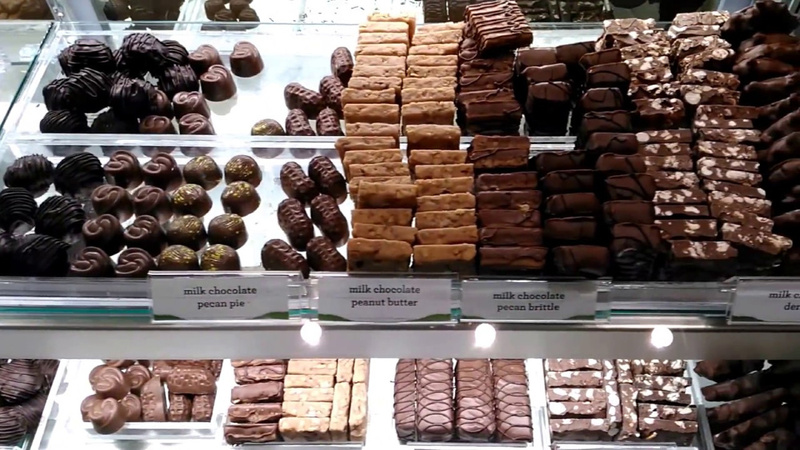 At the Ethel M. Chocolate Factory, take a self guided tour, eat free samples and watch the chocolate being made from behind large glass windows. 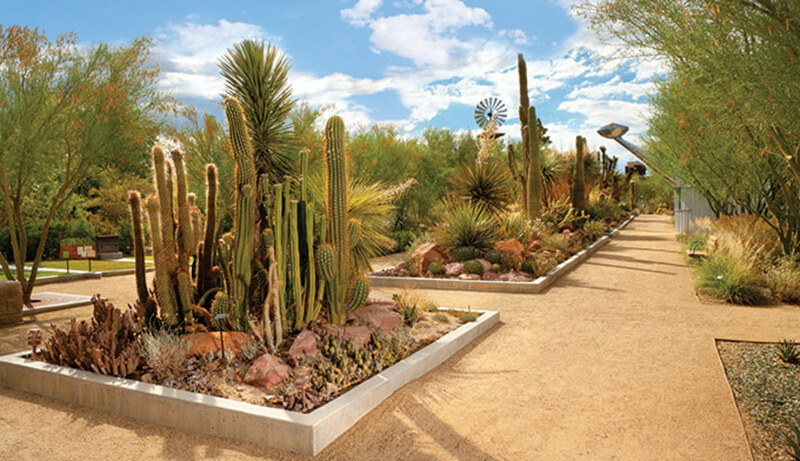 You can also walk through the four-acre Botanical Cactus Garden, the largest in Nevada. At Christmas time, this cactus garden is beautifully decorated in Christmas lights. There are 300 species of plants: half are native cacti and succulents and the rest are desert trees and shrubs, both local and from Australia and South America. The chocolate, of course, is all local – and delicious! Bring some back to the hotel with you for a late night snack! I caution parents heavily when bringing up Freemont Street as one of the Top Free Things To Do in Las Vegas with Kids. In my humble opinion, it is not family friendly. So, I include it here with a cautionary tag. Get off the strip and immerse yourself in the Springs Preserve, dubbed the Miracle in the Mojave. Here, you can take your kids hiking around the Springs Preserve without having to pay to get into the main part. Anything that gets kids off the strip, running around is a top Free Things To Do In Las Vegas with Kids. There are 1.8 miles of trails split between four themes, with wildlife, native habitats and archaeological sites. The trails are open from 10 am until dusk. Be prepared with plenty of water, sunscreen and hats for all. Note that there are many many additional activities that are available for a fee. A quick search for Las Vegas Pass, may be in order, as it allows free entry into Springs Preserve, among other benefits. 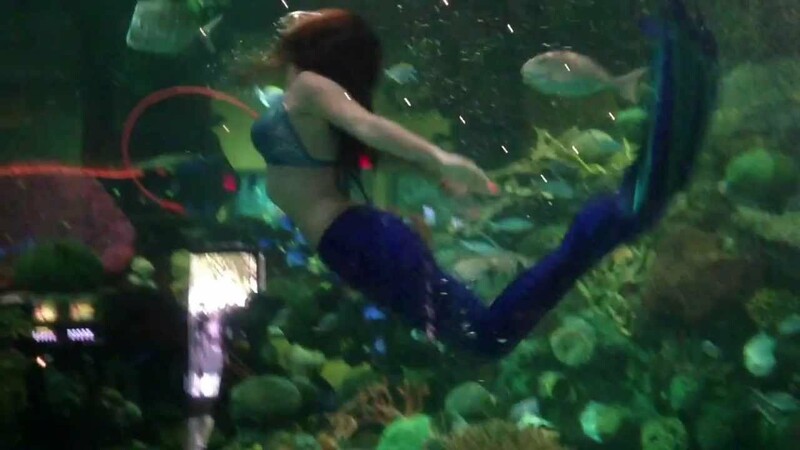 Named the “Best Free Attraction in Las Vegas,” the Mermaid show at the Silverton Hotel is a must see. The 117,000-gallon aquarium is home to thousands of tropical fish and LIVE Mermaids. Subject to Change, a free mermaid show occurs in the aquarium Thursday, Friday & Saturday hourly from 12-3:15 and again from 5-8:15. Sundays from 10:30 am – 3:15 and again from 5-6:45. Note, that there is a 15 minute intermission between individual swims. The plethora of fish is fed daily at 1:30 pm, 4:30 pm. There are thousands of tropical fish and one or two mermaids swimming every day all day. Totally amazing sight! 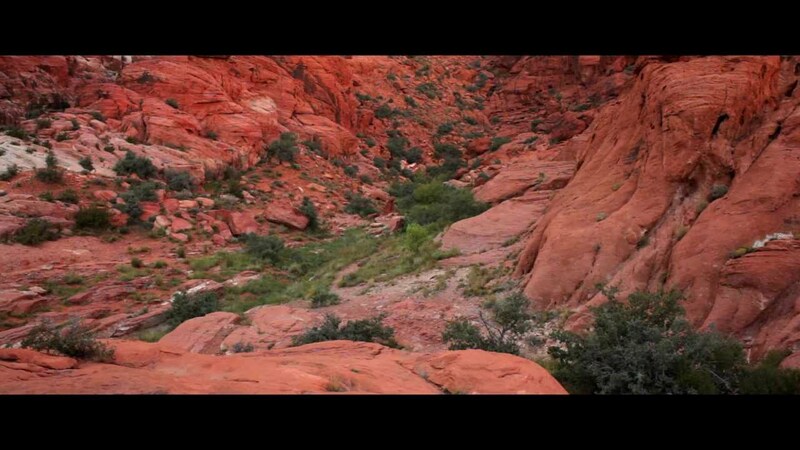 If you are in search of a little adventure in Las Vegas look no further than Calico Basin. Only a few minutes away from downtown Las Vegas, the Calico Basin is legit worlds away. This portion of the Red Rock Canyon National Park you don’t have to pay to get into. The area features spectacular red and white sandstone cliffs and, as the name implies, there are many natural springs that feed the abundant vegetation and attract a variety of interesting wildlife. Take a walk around the boardwalk, go for a hike and just enjoy getting away from the crazy non-stop assault on your senses that is the Las Vegas strip. In keeping with the Circus theme, Circus Circus puts on a free circus show each and every day. No, it’s not Cirque de Soleil, but still, your kids will be enthralled. 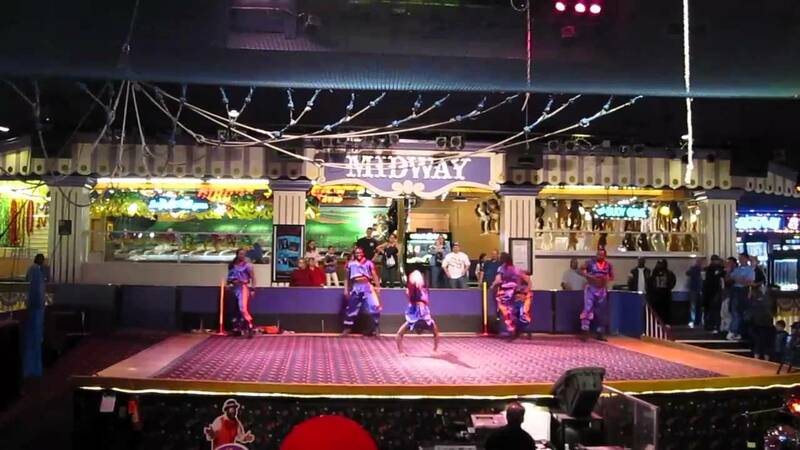 The Circus Hotel show features jugglers, unicyclists, trapeze artists acrobats and more. Each show is 10 minutes long, and shows run every half hour, daily, from 11 am – 11 pm; until midnight on Fridays and Saturdays. Billed as the “World’s Largest Permanent Circus,” the popular show has only 60 seats, so get there early. 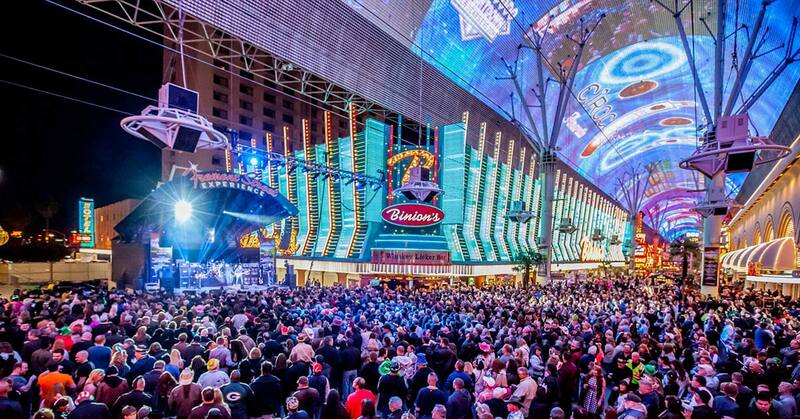 What are your favorite free things to do in Las Vegas? Share with us in the comment section below. 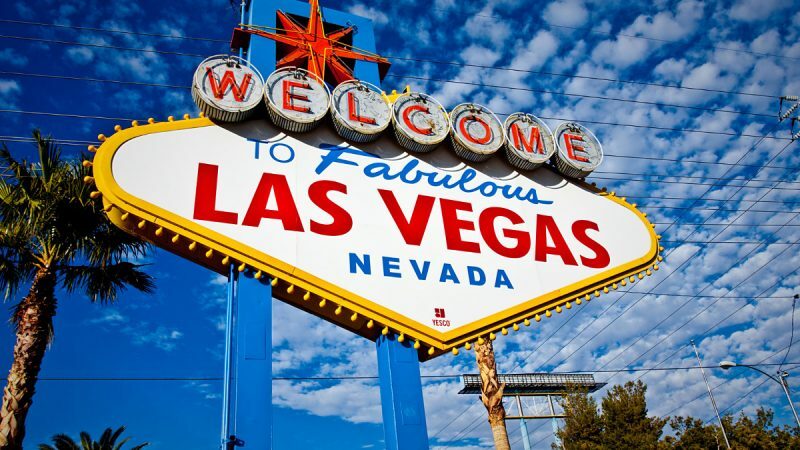 Should You Visit Las Vegas With Kids? 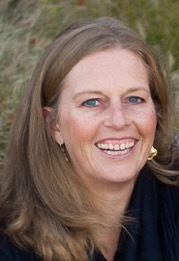 Previous Post: « Should Families Go to the Travel & Adventure Show? Thanks for sharing. I can definitely link to this from my site. 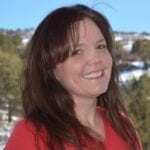 Thank you for linking Stephanie! The White Tiger Habitat is no longer available without having to pay. It’s currently $20 per person with $3 off for guests of the Hotel. Leah, I’m sorry I should have been clearer. The extensive habitat out side of the casino that also features dolphins is not free. But, the lion habitat that is inside the casino is free. Unfortunately the lion habitat is closed too since late Dec. 2012. Wow. I think i have got all the best tips and ideas to make my next las vegas trip with my kids.I persoanlly love this city a lot and would love to visit it again.Thanks for sharing. Thank you so much for this post! My friend and I just drove to Vegas and stopped at MANY of these spots. We had such a great time! Vegas is actually a ton of fun for kids. And the things they will see will last them a lifetime (the good and the bad, lol). Great post! Oh yes the mermaids is a must-see for our kids every time we go to Vegas. I’m bummed they weren’t around when I was a kid in Vegas. The pools are always a fun way to spend the day in LV with kids too. Sadly many of these attractions on the Strip are not “free” anymore. The casinos are now charging HUGE parking fees even for the locals. I used to love taking my little ones down there to see the atrium at the Bellagio and other stuff like that. We don’t go any more because it is over $20 for the first hour and it compounds after that. The casinos are really doing the locals a disservice and losing a lot of local support. It is sad. It would be good to know the date of this article. Many of the attractions are no longer active. 2018 – Freemont St is now a drunken freak show. We took the kids there because it was like Santa Monica with a canopy many years ago. It has changed. Yes the spray paint artists are cool, if your kids can handle male lap dances, women with only body paint on top, and LOUD music. Circus Circus is the same with shows every hour now. Had a fun time there, plus free parking. Venice – the kids loved seeing the gondolas, plus free parking. The Mirage volcano is nearly across the street ftom Venice. It only erupts at 8:00 and 9:00 on weekdays with an additional 10:00 show on weekends. 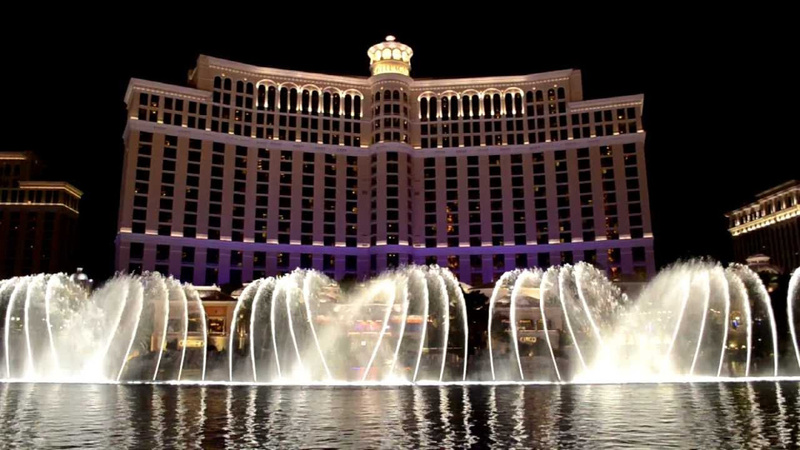 The Bellagio fountains are always great. While it costs money, seeing the fountains from the top of the Eiffel tower is a memorable treat. Brilliant tips. Who knew? I suspect lots of travelers walk right through many lobbies with another encounter in mind but your awareness of free beauty is magnificent. This is a keeper in case I get to Vegas. Thank you. Some great choices and I loved doing all of these things! We loved seeing the Cirque shows too but they may be a bit long for kids! Thanks for sharing!